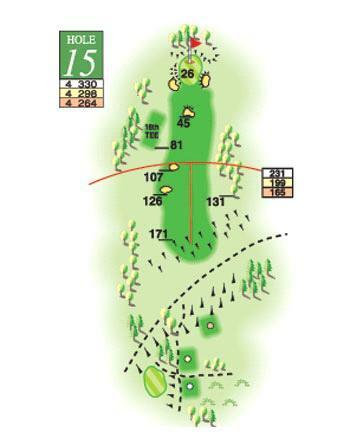 Played across a valley from the tee and demanding a straight well hit drive to prevent the facing slope killing the tee shot and missing the two bunkers on the left. The second shot to the green has to carry three steep faced bunkers. The green is not as straightforward as it might appear and requires a controlled approach putt.